Here's the first of the completely new models. The top's done a bit differently to add a bit more too it, which looks really good on the finished model. The most difficult part was the arms (which look different in the final model to how they do in the picture) because its SO hard getting arms in more dynamic poses to still look in proportion.. considering the entire model is so out of proportion. I hope you like how it turned out though. I've also included an alternate hairstyle for her Iron Man 2 look, as she did look smoking in that film and some of you might prefer this style. I've also tried to put as much instruction as I can into how all her straps and belts fix into place, but let me know if you need any clarification. Keep checking back for more Avengery Goodness. Big thanx for this pretty doll! 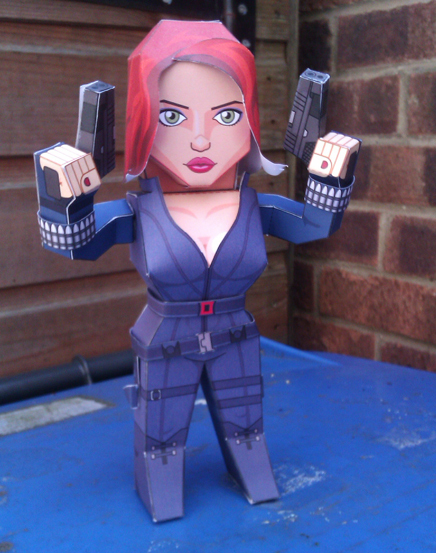 I made doll like as Black Widow. It's Nico Robin from One Piece. I can to share pattern. 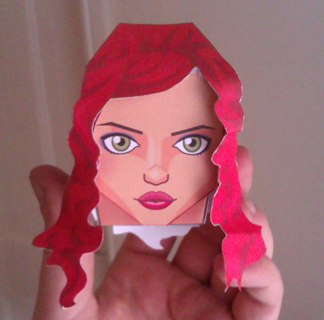 The facial features are very well matching to the Black widow of the movie. But, the body seems to be a bit deviating from the original design. Is it intended? If so, please do let us know about the source of inspiration.